Prof Kazuhiro Nogita’s research interests are in: working on lead-free solders, hydrogen storage alloys and structural Al-Si alloys. The unifying theme throughout his research career has been the development of environmentally sustainable materials solutions for conventional and alternative electronic, transport and power industries. Prof Nogita graduated as an Engineer in Japan in 1990 and worked in the nuclear power industry with Hitachi Ltd. for several years. 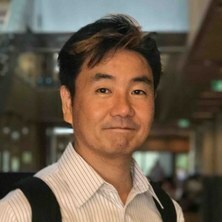 He was awarded a PhD from Kyushu University in 1997 and has subsequently worked on a variety of research projects, including the development of materials for alternative power industries and environmentally friendly applications. He migrated to Australia in 1999 after accepting a position at the University of Queensland, where he currently holds the title of Professor and Director of the Nihon Superior Centre for the Manufacture of Electronic Materials (NS CMEM) within the School of Mechanical & Mining Engineering, and a founding manager of The University of Queensland - Kyushu University Oceania Project (“UQ-KU Project”). He is also an invited Professor at Kyushu University and at the University of Malaysia Perlis. Currently, the majority of Prof Nogita’s research is in two major areas, namely lead-free solders for electronic applications and metal based hydrogen-storage alloys. He holds 13 international patents and has authored over 200 refereed scientific papers. His research has been acknowledged with several awards/fellowships, including Queensland Government Smart Futures Fellowship and he has been instrumental in the establishment of a spin-off company, Hydrexia Pty. Ltd. In 2002 I became aware, through following international literature, that the Mg-Ni system was a suitable candidate for hydrogen storage applications. I applied my experience in solidification, control and characterisation of eutectic microstructures to investigate bulk casting as means of producing a suitable alloy from this system. The research was novel in the field of hydrogen storage alloys as it resulted in a commercially viable product that could be economically cast, in bulk, to produce a nano-scale microstructure with acceptable kinetics of hydrogen absorption and desorption. The alloy that was developed also displayed a spontaneous protective oxidation reaction preventing the release of hydrogen from the alloy in a compromised storage system. This research resulted in 5 papers, 1 patent, 3 awards and the development of a spin-off company, Hydrexia Pty. Ltd. To date, Hydrexia has attracted over $20m from investors including Air Liquide, and employed more than 15 full time staff in Queensland. Concurrent to my research in hydrogen storage alloys, I was approached to perform some consulting for a major international manufacturer, Nihon Superior Co. Ltd, involving the characterisation of lead-free solder alloys. This consultancy was highly valued by the company and the work expanded into 5 major research funds with a total investment of over $4.3m at UQ over the past 10 years. Our work was critical to Nihon in protecting its IP (in both the US patent court and Japanese supreme court), and as a result, the company was presented an award from the Japanese Emperor for the creation of significant IP at a ceremony marking the 125 year anniversary of the Japanese patent system in 2010. The research has expanded and resulted in the establishment of the Nihon Superior Centre for the Manufacture of Electronic Materials (NS CMEM) at UQ in 2012 and is associated with over 60 peer-reviewed papers, 5 patents and 3 awards. The NS CMEM has a strong focus on commercially relevant and environmentally sustainable research with the purpose of bringing world-class research capability to the manufacture of electronic materials at the University of Queensland. The Centre has a diverse range of projects and has attracted requests for consulting work from Australian manufacturers in the electronics sector. The research relating to NS CMEM and lead-free solder development was selected for assessment in the ATN Go8 EIA Trial and was recognised in the National Report, 28th November 2012, as having considerable impacts in terms of “reach and significance” and it was stated that “Adoption of the research has produced new policies, products, attitudes, behaviours and /or outlooks in the end-user community”. I have engaged communities beyond academia by participating in media coverage on my research and endeavouring to communicate the content and potential of research projects to a broader audience. My research has been used to assist in the manufacture of an electric vehicle that participated in the Global Green Challenge in Oct 2009, a 3000km race through outback Australia. Highlights of this race were shared at a seminar with Australian embassy representatives from Austrade, Queensland Government Trade and Export Department representatives, and private industries and academic institutions. I had participated in the coming World Solar Challenge 2013 as a team member of the “Team Arrow” solar car racing team (http://www.teamarrow.com.au/), which consists of a consortium of four Australian engineering companies (Integral Pty. Ltd., Meshlogic Pty. Ltd., Rinstrum Pty. Ltd. and Tritium Pty. Ltd.). Characterisation of Li-ion battery anode activation for improved performance. Nogita, Kazuhiro, Mohd Salleh, Mohd Arif Anuar, Abdullah, Mohd Mustafa Al Bakri, Jamaludin, Liyana and Mohd Tahir, Muhammad Faheem (2018) Preface. Solid State Phenomena, 273 SSP . Yasuda, Hideyuki, Nagira, Tomoya, Yoshiya, Masato, Morishita, Kohei and Nogita, Kazuhiro (2017) Time-resolved and in-situ observation of solidification phenomena. Yosetsu Gakkai Shi/Journal of the Japan Welding Society, 86 5: 362-363. Sweatman, K., Nishimura, T., McDonald, S. D., Whitewick, M. and Nogita, K. (2014) Grain refinement for improved lead-free solder joint reliability. SMT Surface Mount Technology Magazine, 29 1: 30-41. Salleh, Mohd Arif Anuar Mohd, Al Bakri, Abdullah Mohd Mustafa, Somidin, Flora, Sandu, Andrei Victor, Saud, Norainiza, Kamaruddin, Hussin, McDonald, Stuart D. and Nogita, Kazuhiro (2013) A comparative study of solder properties of Sn-0.7Cu lead-free solder fabricated via the powder metallurgy and casting methods. Revista De Chimie, 64 7: 725-728. Sweatman, K., Nishimura, T., McDonald, S. and Nogita, K. (2012) Effect of cooling rate on the intermetallic layer in solder joints. SMT Surface Mount Technology Magazine, 27 11: 68-77. Nogita, Kazuhiro (2011) A hydrogen storage system utilising as-cast magnesium based alloys. Ceramics Japan (Bulletin of The Ceramic Society of Japan), 46 3: 196-200. Nogita, Kazuhiro (2011) Eutectic modification and porosity formation in Al-Si alloys. Journal of Japan Foundry Engineering Society, 83 2: 167-175. Yasuda, H., Nogita, Kazuhiro, Yamamoto, Y., Nagira, T., Yoshiya, M., Uesugi, K., Umetani, K., Takeuchi, A. and Suzuki, Y. (2011) Investigation of solidification behaviour in alumnimum alloys by synchrotron radiation X-ray. Journal of the Japan Institute of Light Metals, 61 12: 736-742. Why is there less cracking when Ni is added to Sn-Cu lead-free solder joints? 野北 和宏 [Nogita, Kazuhiro] (2010) Why is there less cracking when Ni is added to Sn-Cu lead-free solder joints?. エレクトロニクスの実装技術 (Erekutoronikusu no Jissō-Gijutsu) [Electronic Packaging Technology], 26 11: 20-26. Nogita, Kazuhiro, Yasuda, Hideyuki, Gourlay, Christopher M., Suenaga, Shoichi, Tsukamoto, Hideaki, McDonald, Stuart D., Takeuchi, Akihisa, Uesugi, Kentaro and Suzuki, Yoshio (2010) Synchrotron micro-XRF measurements of trace element distributions in BGA type solders and solder joints. Transactions of The Japan Institute of Electronics Packaging, 3 1: 40-46. Nogita, Kazuhiro, Greaves, Mathew C., Guymer, Benjamin D., Walsh, Bernard B., Kennedy, James M., Duke, Michael D. and Nishimura, Tetsuro (2010) The performance of lead-free solders during a long-distance electric vehicle race. Transactions of The Japan Institute of Electronics Packaging, 3 1: 104-109. Yasuda, Hideyuki, Nogita, Kazuhiro, Gourlay, Christopher, Yoshiya, Masato and Nagira, Tomoya (2009) In-situ observation of Sn alloy solidification at SPring8. Journal of the Japan Welding Society, 78 7: 6-9. Nogita, Kazuhiro, McDonald, Stuart D., Tsukamoto, Hideaki, Read, Jonathan, Suenaga, S. and Nishimura, T. (2009) Inhibiting cracking of interfacial Cu6Sn5 by Ni additions to Sn-based Lead-free solders. Transactions of the Japan Institute of Electronics Packaging, 2 1: 46-54. Shea, Chrys, Kenny, Jim, Rasmussen, Jean, Wable, Girish, Chu, Quyen, Teng. Shiang, Sweatman, Keith and Nogita, Kazuhiro (2008) Copper erosion: The influence of metallurgy on copper dissolution: The rate of copper dissolution. Printed Circuit Design & Fab, 25 10: 35-38. Nogita, K., Schaffer, P. L., McDonald, S. D., Lu, L. and Dahle, A. K. (2005) Modification of Al-Si alloys. Aluminium, 81 4: 330-335. Dahle, A. K., McDonald, S. D. and Nogita, K. (2004) Erratum: Eutectic Solidification of Al-Si Alloys (Metallurgical and Materials Transactions A (2003), 34A (2690-2693)). Metallurgical and Materials Transactions A: Physical Metallurgy and Materials Science, 35 A 3: . Nogita, K., McDonald, S. D. and Dahle, A. K. (2004) Modification of Al-Si alloys. Materials Forum - Aluminium Alloys Their Physical and Mechanical Properties, 28 945-950. Heiberg, G., Nogita, K., Raanes, M., Dons, A. L., Dahle, A. K. and Arnberg, L. (2002) Effect of magnesium, iron and copper on eutectic solidification of hypoeutectic aluminium-silicon alloys. Transactions of the American Foundrymen's Society, 110 347-358. Kashibe, S., Nogita, K. and Une, K. (2001) Irradiation-induced microstructure change and fuel performance of high burn-up LWR fuels. Journal of Nuclear Science and Technology, 288 280-280. Nogita, Kazuhiro, Mu, Dekui, McDonald, Stuart D., Read, Stuart D. and Sweatman, Keith (2013). Crack formation and propagation mechanisms in interfacial Cu6Sn5. In: ICEP 2013 Proceedings. ICEP 2013: International Conference on Electronic Packaging 2013, Osaka, Japan, (670-675). 10-12 April 2013. Zeng, Guang, McDonald, Stuart, Gu, Qinfen and Nogita, Kazuhiro (2013). Effect of Zn, Au and In on the phase stability and thermal expansion of Cu6Sn5 intermetallics. In: Phase Stability, Phase Transformations, and Reactive Phase Formation in Electronic Materials XII - TMS 2013 142nd Annual Meeting and Exhibition, San Antonio, United States, (). 3-7 March 2013. Sweatman, K., Mcdonald, S. D., Whitewick, M., Nishimura, T. and Nogita, K. (2013). Grain refinement for improved lead-Free solder joint reliability. In: IPC APEX EXPO Conference & Exhibition 2013: Proceedings. IPC APEX EXPO Conference and Exhibition 2013, APEX EXPO 2013, San Diego, United States, (561-589). 19-21 February 2013. Barry, J., Yamamoto, T., Gu, Q., Huang, Yang, Matsumura, S. and Nogita, Kazuhiro (2013). New phase in stoichiometric Cu6Sn5 and effect of Ni addition on phase stabilization in wide temperature range. In: Phase Stability, Phase Transformations, and Reactive Phase Formation in Electronic Materials XII - TMS 2013 142nd Annual Meeting and Exhibition, San Antonio, United States, (). 3-7 March 2013. Sweatman, Keith, Nishimura, Tetsuro, McDonald, Stuary D. and Nogita, Kazuhiro (2012). Effect of cooling rate on the intermetallic layer in solder joints. In: IPC APEX Expo 2012: Proceedings. IPC APEX Expo 2012, San Diego, United States, (862-887). 28 February - 1 March 2012. Nogita, Kazuhiro (2012). Industry-university collaboration and advances in lead-free solder technology. In: Proc. SMTA Pan Pacific Microelectronics Symposium, Kaui, Hawaii, United States, (). 14-16 February 2012. Sweatman, Keith, Nishimura, T. and Nogita, Kazuhiro (2012). The stability of Cu6Sn5 in the formation and performance of lead-free solder joints. In: Proceedings of SMTA Pan Pacific Microelectronics Symposium. SMTA Pan Pacific Microelectronics Symposium, Kaui, Hawaii, United States, (). 14-16 February 2012. Sweatman, Keith, Read, J., Nishimura, T. and Nogita, Kazuhiro (2011). The effect of microalloy additions on the morphology and growth of interfacial intermetallic in low-Ag and no-Ag Pb-free solders. In: Proceedings of SMTA International. SMTA International, Fort Worth, Texas, United States, (). 16-20 October 2011. Mu, D., Read, J., Yang, Y-F. and Nogita, K. (2011). Thermal expansion behavior of Cu6Sn5 in high-temperature leadfree solder joints. In: International Conference on Electronic Packaging ICEP. International Conference on Electronic Packaging (ICEP 2011), Nara, Japan, (). 13-15 April 2011. Nogita, K., Greaves, M., Guymer, B., Walsh, B., Kennedy, J., Duke, M. and Nishimura, T. (2010). Lead-free solders for electric vehicles - Global Green Challenge: Eco-challenge racing. In: Miki Mori, ICEP 2010 Proceedings. International Conference on Electronics Packaging 2010, Sapporo, Japan, (555-560). 12-14 May 2010. Nogita, K., Yasuda, H., Gourlay, C. M., Suenaga, S., Tsukamoto, H., McDonald, S. D., Takeuchi, A., Uesugi, K. and Suzuki, Y. (2010). Trace element distribution in solder joints between Sn-based solders and Cu substrates. In: Miki Mori, Proceedings of the Tenth International Conference on Electronics Packaging (ICEP 2010). International Conference on Electronics Packaging ICEP2010, Sapporo, Hokkaido, Japan, (549-554). 12-14 May 2010. Tsukamoto, Hideaki, Nishimura, T., Suenaga, S., McDonald, S. D., Read, J. and Nogita, K. (2009). Ball impact behavior of Sn-Cu (-Ni) lead-free solder joints. In: MA2009: The International Conference and Exhibition on Materials and AustCeram 2009, Gold Coast, QLD, Australia, (10-16). 1-3 July 2009. Hideaki Tsukamoto, Nishimura, T., Suenaga, S., McDonald, Stuart, Jonathan Read and Nogita, Kazuhiro (2009). Impact strength of Sn-Cu (-Ni) lead-free solder ball grid arrays placed on Cu substrates. In: Hideyuki Nishida, Proc. of Int. Conf. on Electronics Packaging 2009. Int. Conf. on Electronics Packaging 2009, Kyoto, Japan, (K14-2-3). 1-16 April 2009. Nogita, K., Suenaga, S., McDonald, S. D., Tsukamoto. H., Read, J. and Nishimura, T. (2009). Inhibition of cracking in Cu6Sn5 intermetallic compounds at Sn-Cu lead-free solders and Cu substrate interfaces. In: Hideyuki Nishida, Proceedings of the International Conference on Electronics Packaging 2009. ICEP 2009: International Conference on Electronics Packaging 2009, Kyoto, Japan, (1-6). 14-16 April, 2009. Nogita, K., Read, J., Tsukamoto, H., McDonald, S. D., Gourlay, C. M. and Nishimura, T. (2009). The Effect of Ni on Phase Stability in Cu6Sn5. In: Japan Institute of Metals Autumn Meeting 2009, Kyoto, Japan, (). 15-17 September 2009. T. Ventura, C. M. Gourlay, K. Nogita, M. Rappaz and A. K. Dahle (2009). The influence of Ni additions on the solidification of Sn-0.7%Cu solder. In: Proceedings of The International Conference and Exhibition on Materials and AustCeram 2009 (MA2009). Materials and AustCeram 2009 Conference, Gold Coast, Australia, (). 1-3 July 2009. Nogita, K., Gourlay, C. M., Nishimura, T., Suenaga, S., McDonald, S. D. and Tsukamoto, H. (2009). The influence of Ni content on cracking in IMC reaction layers between Sn-Cu-Ni solders and Cu substrates. In: Proceedings of TMS 2009. TMS 2009, San Francisco, California, USA, (). 15-19 February 2009. Tsukamoto, Hideaki, Nogita, Kazuhiro, McDonald, Stuart, Nishimura, Tetsuro, Suenaga, Shoichi and Sweatman, Keith W. (2009). The influence of solder composition on the impact strength of lead-free solder BGA joints. In: 2009 TMS Annual Meeting & Exhibition, San Francisco, CA, USA, (). 15 - 19 February 2009. Nogita, K., Nishimura, T., Suenaga, S., McDonald, S. D., Sweatman, K. and Tsukamoto, H. (2008). Role of Ni in stabilization of intermetallic compounds in Sn-Cu alloys. In: Japanese Institute of Metals Annual Autumn Meeting 2008, Kumamoto, Japan, (). 23-25 September 2008. Simensen, C.J., Hillion, F., Nielsen, O., Nogita, K. and Dahle, A.K. (2007). Analysis of trace elements in Na-modified Al-10 wt%Si using EMPA and NanoSIMS. In: Jones, H., Proceedings of the 5th Decennial International Conference on Solidification Processing. Solidification Processing 2007, Sheffield, United Kingdom, (244-248). 23-25 July 2007. Dahle, A.K., Nogita, K. and McDonald, S.D. (2007). Engineering eutectic solidification in Al-Si Alloys. In: Jones, H., Proceedings of the 5th Decennial International Conference on Solidification Processing. Solidification Processing 2007, Sheffield, United Kingdom, (196-200). 23-25 July 2007. Nogita, K. and Dahle, A.K. (2007). Microstructure and solidification of hypoeutectic, eutectic, and hypereutectic Mg-Mg2Ni alloys. In: Jones, H., Proceedings of the 5th Decennial International Conference on Solidification Processing. Solidification Processing 2007, Sheffield, United Kingdom, (206-210). 23-25 July, 2007. Nogita, K., McDonald, S.D. and Dahle, A.K. (2007). New approaches to understand modification and nucleation mechanisms of hypoeutectic Al-Si Alloys. In: Crepeau, P.N., Tiryakioglu, M. and Campbell, J., Proceedings of TMS Annual Meeting. TMS Annual Meeting, Orlando, Florida, USA, (51-58). February 25 - March 1 2007. Lu, L., Nogita, K. and Dahle, A.K. (2007). Refinement of Al-Si Eutectic Grains - A Novel method to produce high integrity Al-Si Alloy Castings. In: Sorlie, M., Proceedings of the technical sessions presented by the TMS Aluminium Commission. Light Metals 2007, Orlando, Florida, USA, (697-702). February 25 - March 1 2007. Ventura, T., Nogita, K., Gourlay, C., Nishimura, T., Rappaz, M. and Dahle, A.K. (2007). Solidification characteristics of lead-free solder Sn-0.7Cu-0.06Ni. In: Proceedings of the 5th Decennial International Conference on Solidification Processing. Solidification Processing 2007, Sheffield, United Kingdom, (651-655). 23-25 July 2007. McDonald, S. D., Lu, L., Nogita, K. and Dahle, A. K. (2005). The role of the eutectic in porosity formation in Al-Si foundry alloys. In: Shape Casting - The John Campbell Symposium - Proceedings of a Symposium sponsored by the Aluminum Committee of the Light Metals Division (LMD) and the Solidification Committee of the Materials Proces. Shape Casting - The John Campbell Symposium - TMS 2005 Annual Meeting, San Francisco, California, (125-133). 13-17 February 2005 . Une, K., Nogita, K. and Ogata, K. (2004). Crystallography of zirconium hydride in zircaloy-2 nuclear fuel cladding. In: S Crameri, M D Horne and A D Hyatt et al, Proceedings of 18th Australian Conference on Microscopy & Microanalysis. Proceedings of 18th Australian Conference on Microscopy & Microanalysis, Geelong, Australia, (42-42). 2-6 February 2004. Nogita, K., McDonald, S. D., Tsujimoto, K., Yasuda, K. and Dahle, A. K. (2004). Finding eutectic nuclei in hypoeutectic Al-Si alloys by focused ion beam milling. In: Proceedings of Japan Institute of Metals Fall Meeting. Proceedings of Japan Institute of Metals Fall Meeting, Japan, (339-339). 28-30 September 2004. Nogita, K., Tsujimoto, K., Dahle, A. K. and Drennan, J. (2004). Nucleation of eutectic silicon on aluminium phosphide in hypoeutectic Al-Si alloys. In: S Crameri, M D Horne and A D Hyatt et al, Proceedings of 18th Australian Conference on Microscopy & Microanalysis. Proceedings of 18th Australian Conference on Microscopy & Microanalysis, Geelong, Australia, (48-48). 2-6 February 2004. Nogita, K., McDonald, S. D., Dinnis, C. M., Lu, L. and Dahle, A. K. (2004). Recent progress in understanding eutectic solidification in aluminium-silicon foundry alloys. In: Men G. Chu, Douglas A. Granger and Qingyou Han, Solidification of Aluminium Alloys. 2004 TMS Annual Meeting and Exhibition, Charlotte, North Carolina, U.S.A., (93-102). 14-18 March 2004. Amano, M., Shioya, K., Arai, O., Tatenuma, K., Haraguchi, T., Drennan, J. and Nogita, K. (2003). Development of high performance anode catalyst for DMFC and DDFC (1) - Preparation and characterization of the catalyst. In: Proceedings of Annual Meeting Electrochemical Society of Japan. Proceedings of Annual Meeting Electrochemical Society of Japan, Japan, (296-296). 1-3 April 2003. Nogita, K., McDonald, S. and Dahle, A. K. (2003). Eutectic modification of hypoeutectic Al-Si alloys with rare earth metals. In: Proceedings of Japan Institute of Metals Fall Meeting. Proceedings of Japan Institute of Metals Fall Meeting, Japan, (537-537). 11-13 October 2003. Tatenuma, K., Noguchi, T., Amano, M., Taguchi, T., Nogita, K., Drennan, J., Mori, T. and Miyazawa, K. (2003). Highly functional carbon materials impregnated with nano-size RuO2 particle. In: J T S Irvine, UK - Japan workshop on Nano Science for Energy and Environmental application. UK - Japan workshop on Nano Science for Energy and Environmenn, Scotland, UK, (29-31). 11 September 2003. Nogita, K., Dahle, A. K. and Drennan, J. (2002). Application of SEM/EBSD and FEG-TEM/CBED to determine eutectic solidificaation mechanisms. In: John Terlet, Proc. of The 17th International Conference of Australian Society for Electron Microscopy. The 17th International Conference of Australian Society for Ey, Adelaide Convention Center, Adelaide, South Australia, (80). 4-8 February 2002. Nogita, K., McDonald, S. D. and Dahle, A. K. (2002). Effects of boron on eutectic modification of hypoeutectic Al-Si alloys. In: Y. Jahuwara, Proceedings of Japan Institute of Metals Fall Meeting. 2002 Japan Institute of Metals Fall Meeting, Osaka University, Osaka, Japan, (492). 2-4 November, 2002. Dahle, A. K., McDonald, S. D. and Nogita, K. (2002). Eutectic solidification in hypoeutectic Al-Si alloys and its effect on porosity. In: Advances in Aluminium Casting Technology II (USA), 1-10,2002. The 17th International Conference of Australian Society for Ey, Materials Solutions 2002, Columbus, OH, USA, (1-10). 7-9 October 2002. Nogita, K., Dahle, A. K. and Drennan, J. (2001). Application of EBSD and TEM to determine eutectic solidification mechanisms. In: Japan Institute of Metals Fall Meeting, Japan, (). 21-23 Sept 2001. Nogita, K., Couper, M. J. and Dahle, A. K. (2001). Eutectic modification and castability of hypoeutective Al-Si alloys. In: Japan Institute of Metals Fall Meeting, Japan, (). 21-23 Sept 2001. Nogita, K. and Dahle, A. K. (2001). Solidification of the eutectic in hypoeutectic Al-Si alloys. In: Elene Pereloma and Krishnamurthy Paviprasad, Proc. of Engineering Materials 2001 Melbourne. Engineering Materials 2001, Melbourne, Australia, (147-152). 23-26 Sept 2001. Dahle, A. K., Nogita, K., McDonald, S. and Zindel, J. W. (2001). Understanding eutectic formation in hypoeutectic Al-Si alloys. In: Proceedings of TMS 130th Annual International Meeting and Exhibition. TMS 130th Annual Int. Meeting & Exhibition, New Orleans, USA, (). 11-15 Feb 2001. Nogita, K. and Dahle, A. K. (2000). Determination of eutectic solidification mode in Sr-modified hypoeutectic Al-Si alloys by EBSD. In: TMS Fall Meeting, Electron Backscatter Diffraction Symposium. TMS Fall Meeting, St Louis, MI, USA, (150-150). 3-6 October 2000. Nogita, K., Dahle, A. K., Hogan, L. M. and Drennan, J. (2000). EBSD analysis of eutectic solidification in Al-Si alloys. In: Proceedings of the 16th Australian Conference on Electron Microscopy. MicroOZcopy 2000, Canberra, Australia, (48-48). 6-11 February 2000. Nogita, K. and Dahle, A. K. (2000). Eutectic growth mode in strontium, antimony and phosphorous modified Al-Si foundry alloys. In: JIM Fall Meeting. JIM Fall Meeting, Nagoya, Japan, (398-398). 1-3 October 2000. McDonald, S., Nogita, K., Dahle, A. K., Taylor, J. A. and St John, D. H. (2000). Eutectic solidification and porosity formation in Al-Si alloys: the role of strontium. In: M. J. Lessiter, Proceedings of the 104th Annual Meeting. 104th AFS Casting Congress, Pittsburgh, PA, USA, (463-470). 8-11 April 2000. Guldbrandsen-Dahl, S., Heiberg, G., Hjelen, J., Nogita, K., Raanes, M. and Dahle, A. K. (2000). Specimen preparation for electron backscatter diffraction (EBSD) analysis of aluminimum silicon cast alloys, electro polishing versus fast atom bombardment (FAB). In: L. Frank and F Ciamp.or, Proc. EUREM 12. 12th European Congress on Electron Microscopy (EUREM 12), Brno, Czech Republic, (577-578). 9-14 July 2000. Investigating the effect of hydrogen gas impurities on absorption kinetics for Mg alloys. The development of high-performance SnTe-based thermoelectric materials with suitable band engineering.